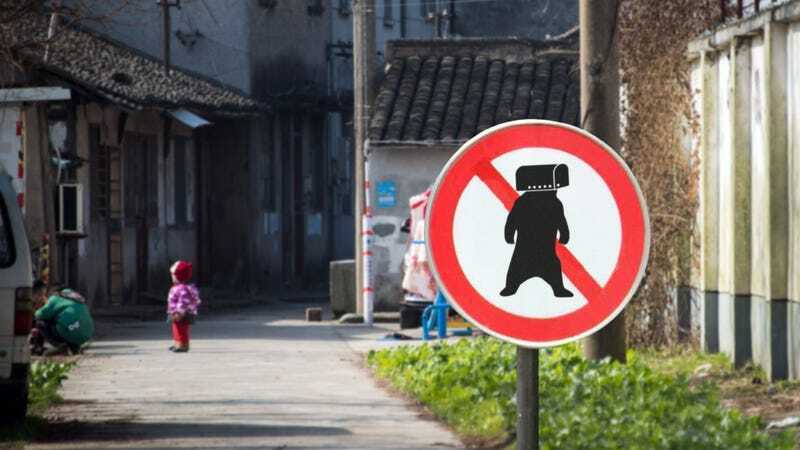 Thanks to the tireless work of animal rights groups around the world, the Chinese government has finally made it illegal to chain a live bear at the front of your driveway and attach a mailbox to its head. The cruel practice, which has been illegal in the United States for decades, was long considered acceptable in China, and it was a common practice among the Chinese elite to receive their mail in a mailbox that had been permanently grafted onto the head of a live bear that wandered around their lawn. However, following a viral social media campaign that depicted people chained to the front of driveways with mailboxes affixed to their heads, public opinion began to shift, and this week Chinese legislators finally bowed to the pressure to take action. From now on, any Chinese citizen who chains up a bear on their front lawn and then surgically attaches a mailbox to that bear’s head will be subject to a heavy fine. There’s still a lot of fighting left to do for animal rights, but this is a step in the right direction. Cheers to the activists that made it happen!